I have had a budget for all my independent life. I have always kept my spending under control. But, I was mostly considering my income as my limit. I was happy when I could save 500 CHF at the end of the month. This was good at the beginning when my salary was low. However, as my salary grew, so did my spending. I did not realize it. But my lifestyle was becoming increasingly costly. This is called lifestyle inflation. And this is something everyone should really be careful about. In itself, it is not very bad. But if your goal is to save some money, you should try to save a certain part of your salary. This is your savings rate. And then if your salary increases, so should your savings. After I realized this, I started being more frugal to increase my savings rate. I am now able to save much more money each month. I consider my savings rate as my most important budget metrics. But, the exact number you need strongly depends on your goals. Not everybody wants to retire early. Depending on your goals and the time to reach them, you may need a higher or lower savings rate. The important thing is not to spend all your salary. And not to increase your lifestyle too much when your income increases. Since this time, I have even been able to save more than half my income on my best month. The second of my budgeting mistakes was to pay for Swisscaution. I really did not think enough when I chose to use Swisscaution. This is a gigantic scam. I should never have paid them. In Switzerland, when you rent an apartment or a house, you have to deposit a guarantee in the bank. This is something like two or three months of rent. It depends on the owner of your apartment or house. This is deposited in your name and the name of the owner. It is blocked for as long as you rent the apartment and in case of damage, it can be used to cover them. There is another option: Swisscaution. They will act as insurance covering the guarantee. For that, you will pay a yearly fee, depending on your rental price. With that, you do not have to deposit a large sum of money in the bank. It sounds good, but when you do the math, Swisscaution is a very bad deal. Instead of keeping your rental guarantee in a bank with a very small interest, it is placed in insurance with a large negative interest. So why did I take it? I was lazy… I did not do the math. And I paid the price for it. At least, it was not too bad of a price. I will never advise Swisscaution to anyone again. And I will definitely deposit a rental guarantee in a bank for my next apartment. I am getting information to see if it is possible to change from Swisscaution to a rental guarantee. But it seems very difficult and I will probably move in the coming years, so it may not be worth it. My first apartment was a very cheap two bedrooms apartment. 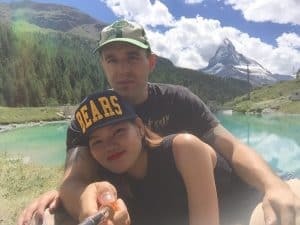 I was paying 910 CHF / month including all fees. It was small but still enough for a single guy. I lived there for around two years. Then, I decided to have one more room to have a real office. Since I am spending a lot of my time in front of my computers, this made sense. However, this would not have been necessary. I went on a quest to find a better one. I found a very good apartment that was offered for rent. In the beginning, the new apartment was only 1050 CHF per month. It was really fair. For 140 CHF per month, I could have one more room. However, the owner was going to do a lot of improvement and thus increase the price. When they told me the new price of 1300 CHF per month, I hesitated. But not long enough. I really liked this apartment so I took it. I do not really regret it since I really like where I am living now. Moreover, now we are two living in this apartment. However, I regret having taken an apartment too expensive. For a single guy it was not reasonable. Especially considering my salary at that time. Since that time, my rent was reduced to 1247 CHF per month. That is great, but still could be better off with a cheaper apartment. For the next apartment, I need to think longer and consider exactly the cost of the new apartment. I should have set a strong limit to the rent and eliminated this apartment as soon as I found out the new price. Another thing I am not really proud of is to have paid for the services of Swiss Life Select. For those that do not know, Swiss Life Select (SLS) is a financial planning company. They cover insurances, budget, retirement planning and even investing. “Normally”, they do not contact you unless somebody gave them your contact information. They “normally” only work like this. But I have some doubt about this (hence the “). So, they contacted me and proposed me to meet one of their advisers. The first meeting is free. First, they ask you a lot of questions. And then they establish your financial profile and propose things to improve it. The second meeting with the solutions is not free. You have to join Swiss Life Select. There is a one-time fee of 295 CHF. I accepted their offer. They proposed me to change my car insurance. This I did since it was indeed cheaper than mine. I also accepted to take on a legal insurance. I have some doubt now regarding this one. At first, they told me they could help me with my taxes, but they did nothing for this. They also told me they would contact me again to have opportunities to invest in better funds in their bank. So why I am not happy with them? For several reasons. First, they say they do not get paid on commission. But this is not true. SLS employees are paid based on the products they sell. So they have an interest to sell as many products as possible. Second, they said they would contact me again to offer me some investing opportunities. They never did! This is probably fortunate since I have then discovered that their funds are too expensive. If they really cared about you, they would offer you low-cost index funds. But they care mostly about the bonus they make on selling you new products. Third, everything they offered me I could have had from my existing insurance manager. And he is free. And after this, I found out that the car insurance they sold me was not the cheapest there was. As for the retirement planning, I already knew most of it. And I could have read it on the internet, again for free! And finally, they are trying to get as many contact information from you as possible. I only gave them the contact that accepted I gave their number away. I will never give a contact number from a person without asking first. So in the end, only a few people accepted. And the SLS adviser was not too happy about it. Overall, their service is worth 295 CHF. You can check insurance offers online with many websites today. Even if it is a pain, it is free. And a lot of insurance managers will offer this service for free. And you should not invest through their funds, you should invest in low-cost index funds. I should have thought longer about the real value of the service they are offering. There are many expenses that come as a big bill. For instance, I pay car insurance only once a year. It is the same for my home insurance or my legal insurance. And the same with parking at work. I pay the awful Billag tax every year as well. I pay the power bill every three months. There are also a few months when I do not pay taxes. I have a tendency of not planning for them. Sometimes, I have a very good month with none of these expenses. This makes me believe my month is very good and I spend a bit more. The problem is that they are regular expenses and their fees should be spread out on the entire year. The easy solution for this is to spread the expenses on several month. But I do not really like this since the budget does not fit reality. Since now I am saving much more than before, this improved this problem. I am more careful. Also, I am trying to think in advance of possible expenses like this. But I do not yet have a very good solution to this problem. The last of my budgeting mistakes has been to spend way too much on computers and For many things, I am quite frugal. For instance, I spend very little on clothing, going out and groceries. However, I do have a problem with spending on Technology. I am a big geek for computers and servers. I have played computer games for more than 15 years. And, I also like home automation. All this did not come cheap at all. 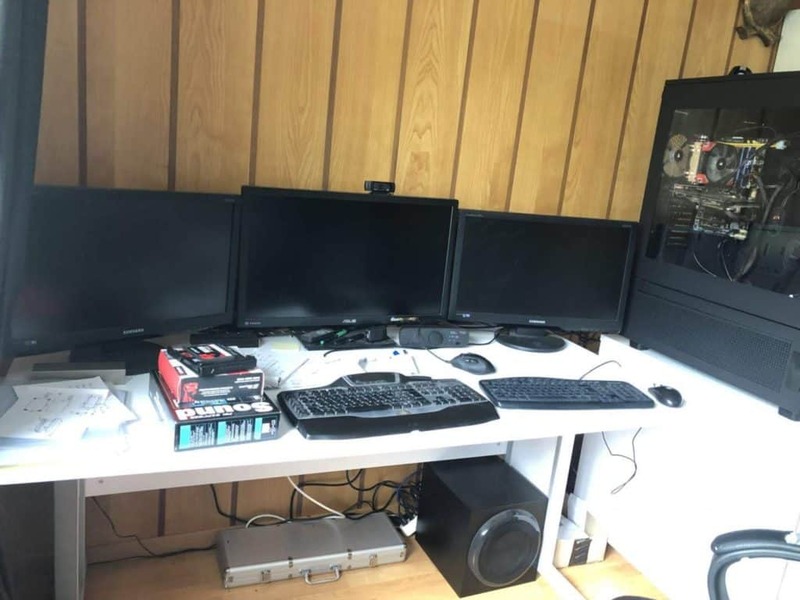 My desktop computer is a huge tower case with two computers inside and I have three monitors. This is probably worth something like 5000 CHF. And this is not the worse. I also have servers. 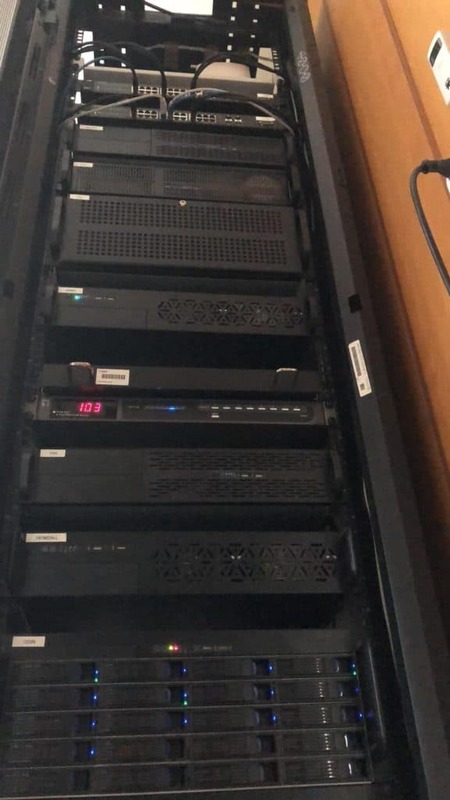 I have a huge computer rack (240 cm tall) with seven servers and some networking utilities. I have probably spent around 6000 CHF on these servers. Also, I also have a custom media center, a large flat screen TV and a home cinema system. For probably 2000 CHF more. Next, to this, my home automation system is much cheaper. I probably spent about 1000 CHF on it. Aside from this, I have a closet full of pieces and components. I do not regret spending money on this. This has been and still is, a lot of fun. But, I went a bit crazy about it. I have a lot of material that I do not use today. And it takes a lot of room! I am planning to downsize a bit. I will reduce the amounts of servers I am using. For this, I am going to dismount a few servers and sell the parts. This will save a lot of room and maybe bring some money. If possible, I may also go for a smaller computer rack. And I have to go through my computer parts stash to save room. My budgeting mistakes were not my only mistakes. Recently, I wrote about my 9 biggest investing mistakes. Everybody does mistakes. The important thing is to learn from them. And never repeat your mistakes. What about you? What big budgeting mistakes did you make? Thanks for sharing this post. I didn’t know about those Swiss scams. Someone from a similar financial planning company keeps calling me and trying to get me to use their services. I am glad I said no. They are not really scam, let’s be honest. They are just not in the best interest of people. In switzerland, it’s terrible how many people are trying to get you, especially for insurance. It’s a real jungle. For the big expenses, I also had the same problems as you until the beginning of the year when I starting getting into “PF/FIRE” spirit & community and discovered all of this world and I started using YNAB and now few months after, I became completely addicted to this great piece of software and wonder how I could make it until now with zero budgeting done until this year. Now I just split big one time expenses in twelve months and I set monthly goals or target date goals with the exact month date I know I’m gonna need to pay that specific big expense. And forecasting by creating in advance future bills/transactions with recurring dates (monthly, annually and so on…) for example. That’s so convenient and everything became so easy. At least for the bills that you can know you’re gonna get. My financial life changed completely because of this software and mostly because I finally started budgeting. I don’t remember if you’re using it or no or another budgeting software. 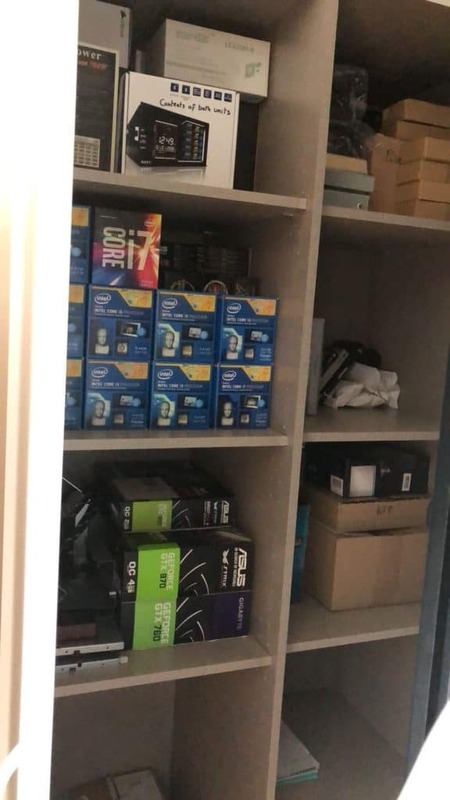 The boxes inside the shelf are all empty ;) But I always keep the boxes in case I sell something later. I’m not that crazy to have so many unused parts. However, to save power, I’ve currently shut down 2 servers. I plan to strip them and sell the parts. I’ve also found a good pile of things that I’ll be able to sell. I found some things that I would never have thought I still had haha. Yes, it’s a good motivation to transform into a better value. Yes, if you can split the big expenses in twelve months and create goals for big expenses, it’s a really good way. I’m not using YNAB but another software: budgetwarrior (for geeks haha). I plan to talk about it in a future post. The most important is, as you discovered, to have a budget. It can make a very big difference. Thanks a lot of the pictures. I think I got them from Unsplash (or maybe pixabay). Keep up with the awesome work!